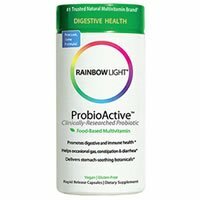 Overall, at 3.5 out of 5 stars, Rainbow Light ProbioActive is a slightly above average daily probiotic. I like how simple this probiotic is to take. Just take 1 capsule daily, either with or before eating. You can also open the capsule up and sprinkle it onto your food before eating it (just make sure the food isn’t hot). These capsules are also a little bit smaller and you don’t have to refrigerate them, which makes it more stable. Another perk is that this probiotic is very allergy friendly, vegan and the bottle is BPA free and 100% recycled and recyclable. I also like how affordable this probiotic is. For just under $20.00, the bottle will last you 3 months. The use of prebiotics and a digestive support blend of peppermint, ginger, fennel, and turmeric is a great addition to help overall belly function. I would love to rate this product higher but there are a few things that held me back. First off, there’s only one probiotic strain used and it’s Bacillus coagulans. I’m not a fan of Bacillus coagulans because it has been known to cause spores in the body. The spores can lead to negative side effects. Speaking of side effects, I experienced belly pain while first taking this probiotic. 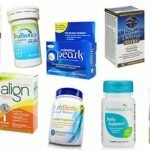 Overall, ProbioActive is allergy friendly, affordable, has helpful added ingredients and is easy to use but the probiotic strain used is not my favorite and it gave me side effects. 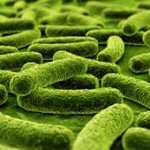 ProbioActive has 1 billion CFUs in 1 probiotic strain – Bacillus coagulans. Bacillus coagulans has been shown to potentially help alleviate digestive issues such as diarrhea and may balance out the bacteria levels in the body. This strain may also help support the immune system and help lessen the severity of Irritable Bowel Syndrome (IBS), Ulcerative Colitis, and Crohn’s Disease. Unfortunately, Bacillus coagulans is the only probiotic strain used and I’m frankly not a fan of it. B. coagulans has also been shown to potentially create spores in the body. These spores can sometimes cause negative side effects in some individuals. I have noticed that I almost always get side effects when taking probiotics with this particular strain. On a positive note, I do like the addition of the prebiotic blend and digestive support blend. The capsules include ginger, peppermint, and turmeric, which have been shown to help calm digestive disorders and help reduce inflammation of the body. The prebiotics help the probiotics survive in the digestive tract, which is what we want! ProbioActive is very allergy friendly. The only potential allergy concern is rice flour. 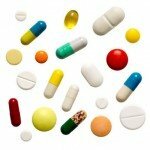 The capsules contain NO: gluten, soy, yeast, milk, lactose, eggs, tree nuts, peanuts, fish or shellfish. There is no sugar in the capsules and they are also vegan. ProbioActive doesn’t contain any artificial colors, flavors, sweeteners, preservatives or additives. The other ingredients include: silica, non-GMO capsule: hydroxyl propyl methyl cellulose, peppermint, turmeric, fennel seed, ginger, inulin, and larch arabinogalactan. For a 90 capsule bottle lasting 3 months, ProbioActive costs $19.95. 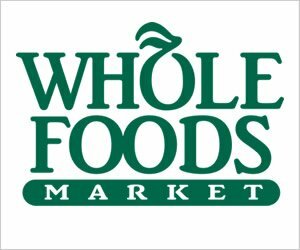 This works out to be only $0.22 a day. This is incredibly affordable and one of the lowest prices that I’ve seen. I think ProbioActive is a good value for the price. I did get some side effects while first taking ProbioActive. They went away after a few days but I did have some slight belly discomfort. 1 billion is a very gentle cell count but the Bacillus coagulans may be the culprit for the side effects. Rainbow Light provides an awesome 100% money back guarantee. If you aren’t 100% satisfied with ProbioActive, you can get your money back. It doesn’t have a specific time frame; it just says to return as soon as possible. Keep in mind that you have to ship the product yourself and pay for shipping and handling (unless it was an error on the company’s end). I really appreciate when companies provide satisfaction guarantees, even though it would be nice to get refunded shipping and handling. To buy Rainbow Light ProbioActive, click here.